An architect’s rendering of the how the $31 million expansion project will change the landscape at Tanglewood. Audiences have flocked to the Berkshires for Boston Symphony Orchestra’s summertime concerts since 1936, when the musicians offered a three-concert series, under the baton of then-music director Serge Koussevitzky, in a large tent at Holmwood, a storied estate in Lenox. That first series, which would ultimately morph into the world-renowned Tanglewood Music Festival, was attended by nearly 15,000 people. Then, in 1937, when the festival presented its first concert at Tanglewood, a gift to the BSO from the Tappan family estate, it drew the largest crowd to ever assemble under a tent, for an all-Beethoven program. And the love affair has continued. Last year, 350,000 guests visited the venerable annual music festival in Lenox, which offers weekly summer concerts by the BSO, performances by the Boston Pops and Tanglewood Music Center orchestras, as well as a lineup of famed guest artists in classical, contemporary, and popular music. That number has grown significantly over the past decade, and has remained fairly constant for the past five years, or so, said Anthony Fogg, the BSO’s artistic administrator and director of Tanglewood. 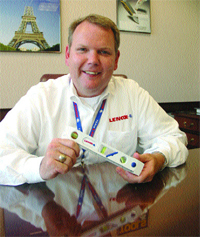 “It is a reflection of increasing, renewed interest in the great music that we’re offering,” Fogg told BusinessWest. In response to these growing demands, the BSO in February announced a $30 million expansion of its music festival’s facilities and 524 acres campus in Lenox. 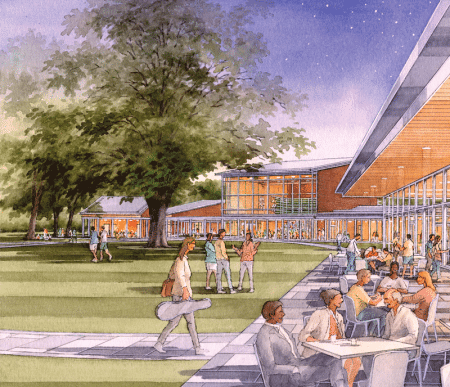 The new complex will include a state-of-the-art, four-building complex designed to support performance and rehearsal activities at the Tanglewood Music Center (TMC), and to serve as the home of the new Tanglewood Learning Institute (TLI). The new buildings will supplement the music festival’s main performance spaces — the 5,700-seat Serge Koussevitzky Music Shed, built in 1938, and the 1,200-seat Seiji Ozawa Hall, named for BSO’s former, long-time music director (1973-2002), built in 1984. “We’re very much viewing this as a long-term investment in classical music as an art form, which is essential to our lives,” Fogg said in a recent interview. The new building complex, scheduled to open in spring 2019, has been designed by William Rawn Associates, led by William Rawn and Cliff Gayley. It will be located at the top of the lawn leading down to Ozawa Hall, which was also designed by the architectural firm. The new facilities will be climate-controlled, which Fogg says will offer an opportunity for members of the larger community to use the space during the off-season, for such things as conferences, celebrations, and musical performances. 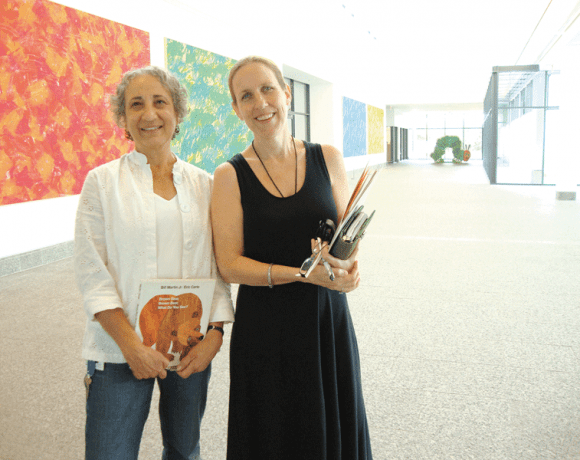 The expansion is part of a multi-year fund-raising effort, which has received donations from private and corporate donors, which Fogg declined to name at this time, saying Tanglewood will make a formal announcement about fund-raising sometime this summer. To date, enough money has been raised to cover the cost of building the complex itself, but further funds will ensure there is a well-funded endowment to cover future operating expenses and programming, he noted, adding that the ultimate fund-raising goal is in the neighborhood of $40 million. At the heart of the four-building project will be Studio 1, a 200-seat concert space designed with Tanglewood’s signature setting in mind. The festival’s iconic, 100-foot-tall red oak tree and the landscape beyond will be visible through a wall of glass that measures 30 feet high by 50 feet wide, and which will serve as an expansive backdrop to the stage. A 50-foot-wide retractable glass wall, also part of the design, will open directly out to a porch and the surroundings. Studios 2 and 3 will offer rehearsal and performance space for small and medium-sized ensembles, and can accommodate audiences of 60 and 40, respectively. For flexibility, Fogg said, all the spaces can quickly and easily convert from one use to another. A 150-seat café housed in the complex will become a hub for visitors, TMC fellows and faculty, TLI participants, and performing artists, and a place where visitors and musicians can interact. Among the beneficiaries of the new space will be the Tanglewood Music Center, a world-renowned summer institute created in 1940 by Koussevitzky to further the tradition of classical music, and to serve as an American center for advanced musical study for young professional instrumentalists, singers, composers, and conductors. About 1,500 musicians compete annually for roughly 150 positions, and those who are accepted receive fellowships that cover tuition, room, and board. Leonard Bernstein, Lukas Foss, and Sarah Caldwell were among its first students. But, frankly, Fogg said, space has become a problem for the program and its participants. 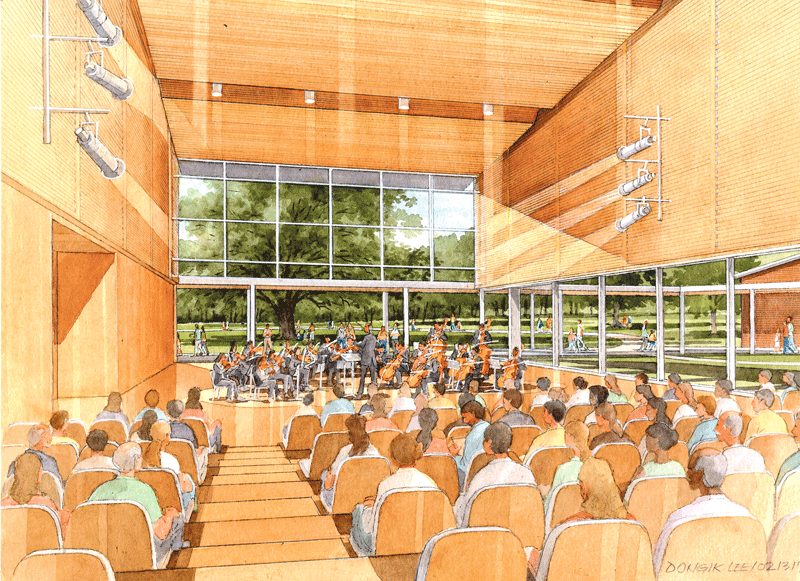 The new facility will address those and other needs by providing significantly more rehearsal and performance space for the TMC, and will enhance, support, and streamline activities to assure that Tanglewood continues to attract the most competitive class of fellows. The new complex will also be home to Tanglewood Learning Center, which will offer all-new programming designed to provide the festival’s patrons with an array of educational and enrichment experiences that encourage a closer connection between artists and audiences, including seminars and panel discussions, film presentations, conversations with artists, and access to special concerts and master classes. Special offerings will include a ‘passport program,’ which will allow subscribers access to BSO and TMC closed rehearsals, TMC master classes, and backstage visits with musicians, guest artists, and conductors, among other activities. The new buildings will be the first year-round structures at Tanglewood, with both heating and air-conditioning, and have been designed with an eye toward sustainability. An architect’s rendering of one of the new facilities at Tanglewood. To that end, natural ventilation and abundant day lighting are designed to minimize energy use. Other notable sustainable features include rainwater harvesting for irrigation; high-efficiency mechanical systems with low-velocity ductwork, meeting acoustic requirements; efficient LED theatrical lighting; water-saving plumbing fixtures; red-cedar cladding harvested from renewable sources; and recyclable zinc roofing. In addition to the buildings, a new horticultural initiative, designed by landscape architects at Reed Hilderbrand, will revitalize and strengthen Tanglewood’s bucolic landscape, with the planting of 144 trees, improvements to stormwater-management systems and pedestrian walkways, and the restoration of views of the 372-acre Lake Mahkeenac, also known as the Stockbridge Bowl. A new horticultural-stewardship program will create and implement uniform strategies for documenting, maintaining, preserving, and enhancing Tanglewood’s horticultural assets. A groundbreaking ceremony will take place later this summer, at a date to be announced. Organizers hope Tanglewood luminaries will be on hand, and are in the process of trying to accommodate the hectic schedules of some of its artistic principals, including BSO’s music director, Andris Nelsons; Boston Pops conductor Keith Lockhart; and the Pops’ conductor laureate, John Williams. Thus begins the start of a new chapter in the history of one of the region’s great destinations — and a summer home for music lovers of all ages.